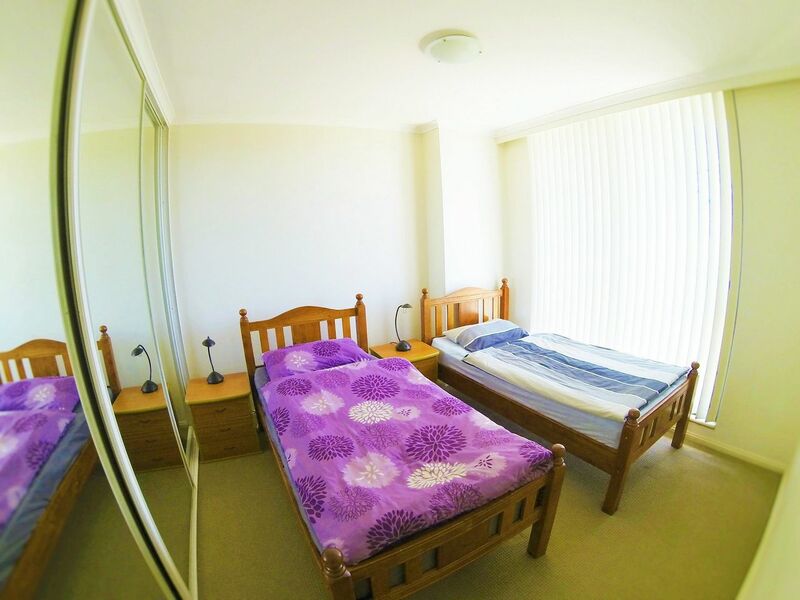 Walk five minutes from your student accommodation to the train station and you’ll be in the city centre in 20 minutes, a short walk or bus ride from University of Sydney and University of Technology Sydney. Bondi Junction is 30 minutes’ away by train where you can shop at Westfields or take a bus to Bondi Beach or University of New South Wales. Close to home you’ll find shops and cafés, with the closest beach, Brighton-Le-Sands, just a 10-minute bus ride away. Pick student housing in Sydney on Keats Street and enjoy sharing a modern apartment with access to a swimming pool where you can start your day off with a few laps. Make yourself breakfast in the bright kitchen where you’ll have all the appliances you’ll need, including a dishwasher to take care of your dirty dishes as you rush off to class. Come home each day, walk through the apartment building gardens as you head to your flat. Drop your bags down on the couch and sit outside on the large balcony. 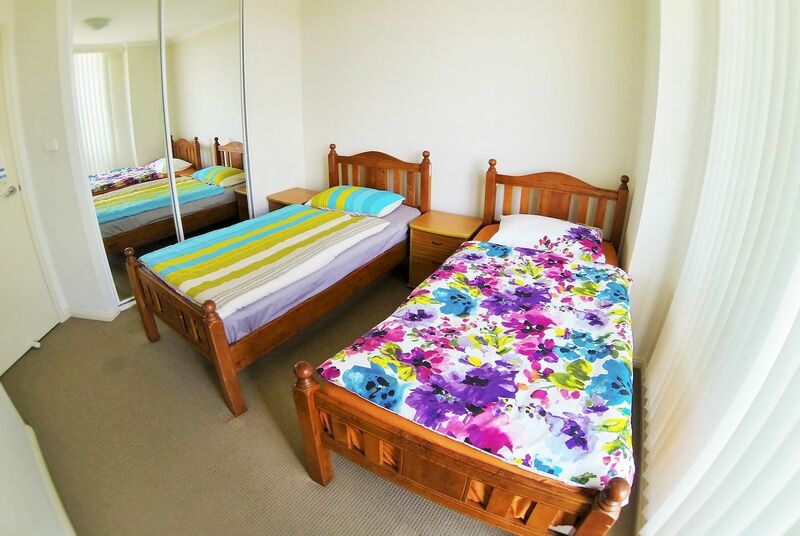 There are three bedrooms with built in wardrobes, bedside tables and single beds. You’ll be sharing two bathrooms so there’s no need to queue for the shower each morning. 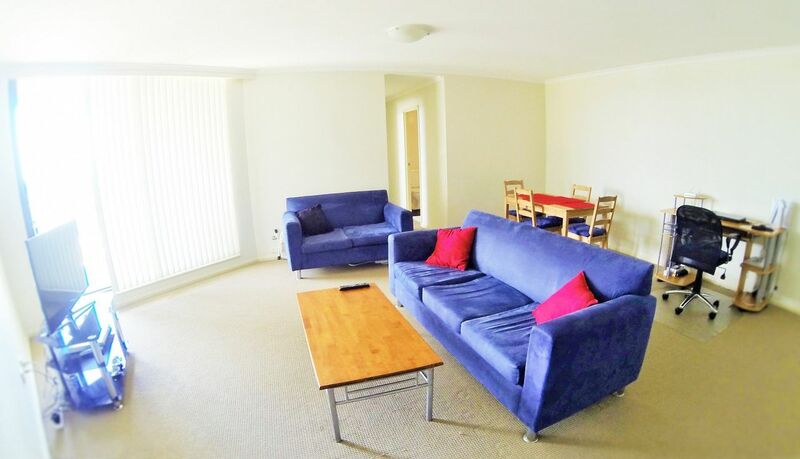 Enjoy relaxing with housemates in the open living space where you’ll find a dining table, desk and sofas. Cable TV, a DVD player, internet and Wi-Fi are all included in your rent, along with off street parking. We couldn't find a room that matches your preferencesView all Shared Room in 1104/3 Keats Avenue.